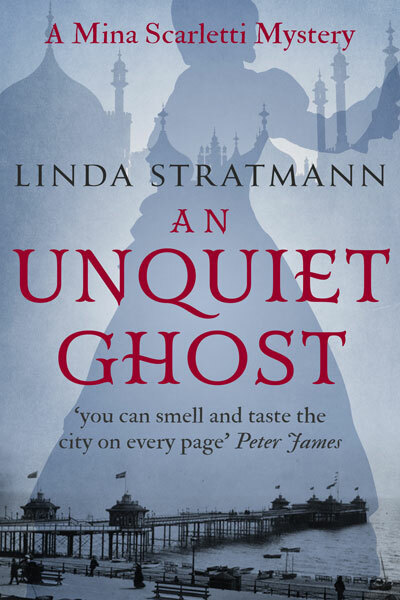 Though she is not a believer in ghosts, Mina is intrigued by the family mystery and decides to help them in any way she can. Could one of the new mediums advertising in Brighton really be genuine? Will they help George and Mary find the answers they are looking for? Mina Scarletti, young, disabled, scion of the Scarletti publishing dynasty, lives on an annuity and the profits of writing children’s stories and, secretly, of horror stories. She doesn’t like mediums. When a young couple come to her with a story of murder and a need for answers before they can marry, she agrees to go with them to meet a couple of mediums who may be able to give them the answers. Using all her faculties and contacts, Mina dives into another investigation into fraudulent mediums, and stumbles on art fraud and other intrigues. Mina is a wonderful character, and the plot is intriguing. I only put my tablet down and stopped reading because I needed to recharge it. I enjoyed the characters, plot development, and the descriptions of Brighton in winter. The tricks of the charlatans are explained; Stratmann brings in scientific characters and references books of the time. The family intrigues of the mediums and their criminal ways were entertaining, and I enjoyed the references to previous events in books 1 and 2. I’m really looking forward to having some money at some point so that I can order them. The eventual answer to the question of who killed the old man in Lincoln in 1851 is revealed in a surprising conversation, even if you pick up the clues. I had four potential murderers; none of them were right. It should have been obvious, really. and after I found out the answer, I could definitely see where I had gone wrong. Nice red herrings, Linda! Sapere Books are ebook only, so at 99p a title it won’t kill your bank balance to give this excellent series a go.